A chic hot spring inn resembling a classic mansion. The entrance is set back from the hustle and bustle of the main street, making it surprisingly quiet. 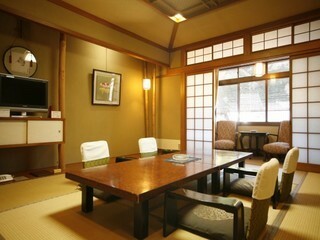 In addition to the room there is a veranda giving a spacious feel.